Mr. Yang, a renowned bass-baritone from China, came to the United States two decades ago in pursuit of his music career. 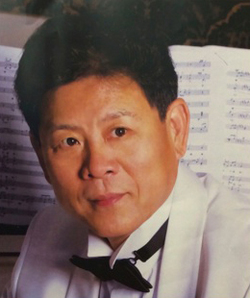 He was an honor student at China's prestigious Central Music Conservatory in Beijing. Upon graduation, Mr. Yang became a lead singer in Beijing's Central Opera House. He has performed in numerous operas and concerts in national events throughout China. In 1990, Mr. Yang studied at the Boston University Opera Institute under world-famous, Phyllis Curtin, and the renowned master tenor, Carlo Bergnozi. In 1995, Mr.Yang won first prize at the Opera Fest America Vocal Competition. As a bass-baritone soloist, he has performed Il Travatore, MadameButterfly, Pagliacci, Norma,and The Magic Flute in numerous venues worldwide. In recent years, Mr. Yang · has worked with the Commonwealth Opera Company in Northampton, Massachusetts, the Bel Canto Opera Company in Providence, Rhode Island, and the Cambridge Symphony Orchestra in Cambridge, Massachusetts. He has also performed Beethoven's 9th Symphony at the Kodak Theatre in Hollywood, California. His Beijing Music Concert,performed in Arcadia, was broadcasted widely in the U.S., Asia, and Latin America. In 2007, Mr. Yang's solo performance for the Taipei International Satellite TV was broadcasted from California. Mr. Yang's earlier recordings are still regularly broadcasted on TV stations in Beijing, Shanghai, and on the Central Broadcasting Radio Station. He is a frequent guest artist in China, holding master classes and lectures in various universities and performing at major national musicalevents. In 2007, he was a guest lecturer and performer at the Xing Hai Music School and Beijing Teacher's College. Mr. Yang also gave several highly acclaimed performances and lectures across Taiwan. Additionally, Mr. Yang teaches music and voice in Southern California, with adult students from Santa Barbara to Orange Counties. He is the conductor of severalchoirs in Cerritos, Hacienda Heights, Thousand Oaks, and Santa Barbara. 近 來熱心宏揚中國文化藝術，特別是對如何繼承、普及發展中國古典藝術歌曲和做出了積 極的貢獻。曾多次在洛杉磯AM 1300 專 題介紹中國藝術歌曲，並舉辦多次獨唱音樂會，使更多在美華人熱愛自己民族文化的瑰寶。他曾在麻州波士頓和南加州洛杉磯組建華人合唱團，並 擔任藝術指導以 及合唱指揮。同時在聲樂教學上用他獨特的美聲唱法使受教的學生領略到聲樂藝術的玲瓏優美、博大精深! Sophia Chen is a virtuoso pianist, who is active in the fields of chamber music, orchestral works, opera productions and choral accompanying. 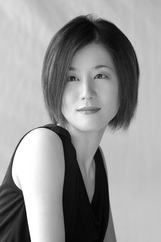 She worked as a pianist in the National Symphony Orchestra of Taiwan. With the symphony orchestra, she has performed many important repertoire, such as Petrushka by Stravinsky and Music for Strings, Percussion and Celesta by Bartok. Since 2000, she has worked as a repetitor in the National Symphony Orchestra of Taiwan and Taipei Symphony Orchestra for many opera productions. In the meanwhile, she has also worked alongside prominent musicians, among which include internationally acclaimed musicians: José Carreras, Renée Fleming, Andrea Bocelli, and Goto Midori; and renowned conductors: Helmuth Rilling、Guenther Herbig、Frieder Bernius…etc. In chorus performance field, Sophia performed with Taipei Philharmonic Chamber Choir at Carnegie Hall in Mar. 6 2011, accompanying for the First Lady of Taiwan. Sophia has recorded several albums, including New Taiwanese Nationalism Music, which scored number one on the classical chart, and I have dreamed, which won the 17th Chi-Mei Arts Award, and 30 Years of Piano Duo of Rolf-Peter Wille and Lina Yeh, which won the 21th Golden Melody Awards. “She has great talent for musical interpretation, skill of a pianist, and immediate respondence as a professional accompanist. She is an excellent pianist with very fine sense of accompanist.” said by Lü Shao-Chia, the former Music Director of Staatsoper Hannover, the Music Director of National Symphony Orchestra of Taiwan.“In my vast experience of preparation for opera and oratorio performances, she is one of the best accompanists whom I have worked with.” said by Dr. Jahja Ling, the Music Director of San Diego Symphony Orchestra.